This new dining series celebrates the bounty of the land, bringing diners closer to food than ever. 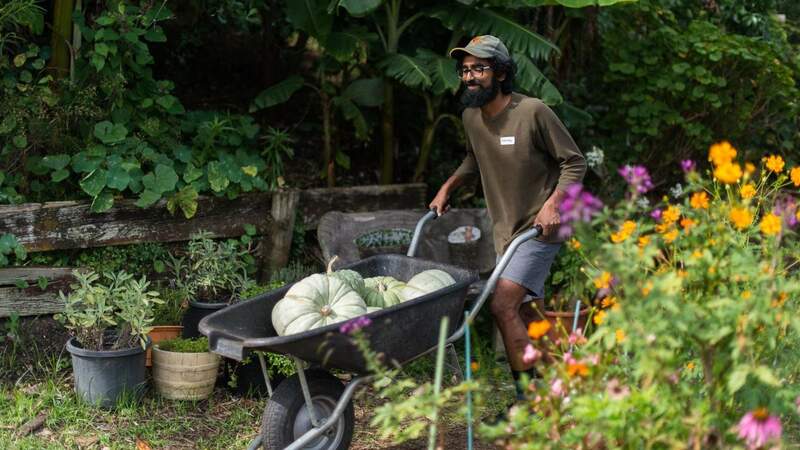 Grey Lynn's beloved organic community farm Kelmarna Gardens is inviting food lovers to enjoy an outdoor pop-up dining experience this February. The idea behind the Farm Dinners series is to celebrate the bounty of the land, bringing diners closer to food than ever. Kelmarna's favourite chefs will be invited to draw on the seasonal harvest producing a menu inspired by garden's produce. For the first instalment on February 14, chef Plabita Florence of plant-based pop-up Forest will present a six-course menu with ingredients both farmed and wild, local and sustainable. The philosophy of Forest is to use wild plants that are literally overgrown throughout the city and to utilise underrated parts of produce that are normally destined for the bin. Previous pop-ups have seen Florence whip up yams with spicy sauce made from pickled chillies and cauliflower stalks, popped barley and wild onion flowers; purple kumara gnocchi with black garlic broth, confit leek and crispy carrot skin; and smoked beets with nasturtium mustard, silverbeet stalk pickles and sauerkraut sourdough.